The perfect introduction to building toys! 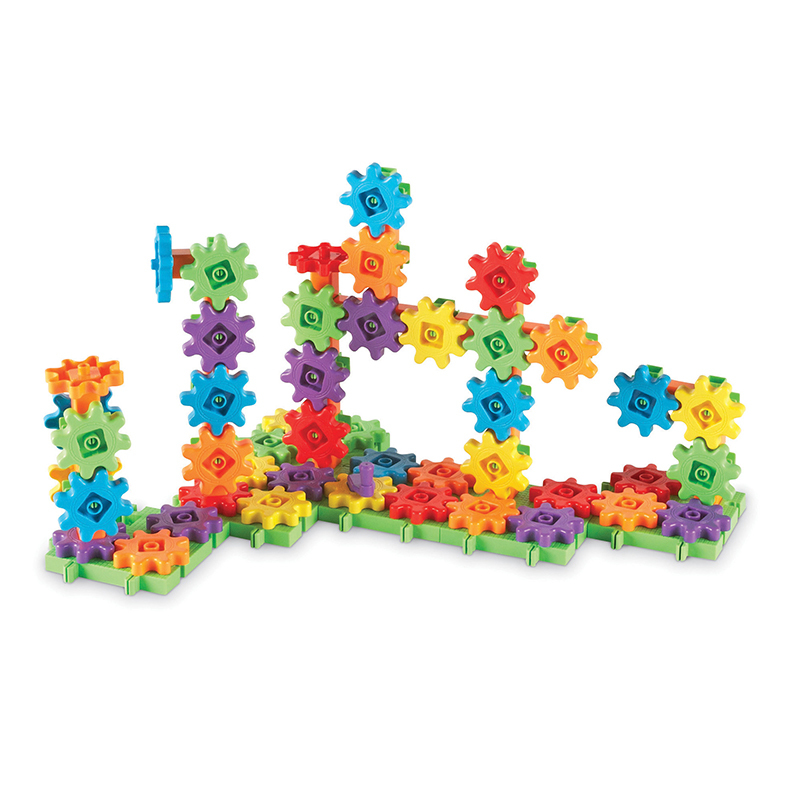 Features sturdy plastic gear pieces that snap together and are compatible with all other Gears!Gears!Gears!® building sets. Encourages creativity while building fine motor skills in hands-on construction play. Includes: 96 pieces (gears, pillars, connectors, cranks, interlocking base plates). Activity guide. Grades: PreK+. Learning Style: Tactile, Visual. Skill Development: Basic Concepts- 48 uniformly-sized gears in six colors (red, orange, yellow, blue, green, purple) help students focus their learning on colors- matching, sorting, and identifying. Fine Motor- As students build, they are strengthening the muscles in their fingers and hands needed for handwriting.